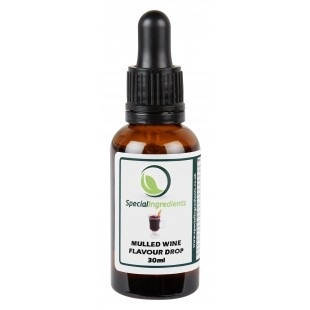 Mulled Wine liquid flavouring drops contains a small amount of sunflower oil which means it is less water soluble than our other flavour drops. A highly concentrated food flavouring that can be used to add flavour to a large variety of different foods and drinks. They are at full strength - not diluted with padding ingredients. A great alternative for diabetics wanting to avoid using sugar syrups to flavour drinks and foods. Flavouring drops are highly concentrated so should be used sparingly - 1-2 ml is ample to flavour approx 1 litre of base liquid. 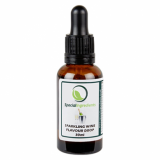 The drops come in a glass bottle with pipette for easy use and measuring - 8-9 drops would be 1 ml. Each 30ml bottle contains approximately 800 drops. Pale yellow mobile liquid composed of flavouring preparations, sunflower oil, antioxidant E307.